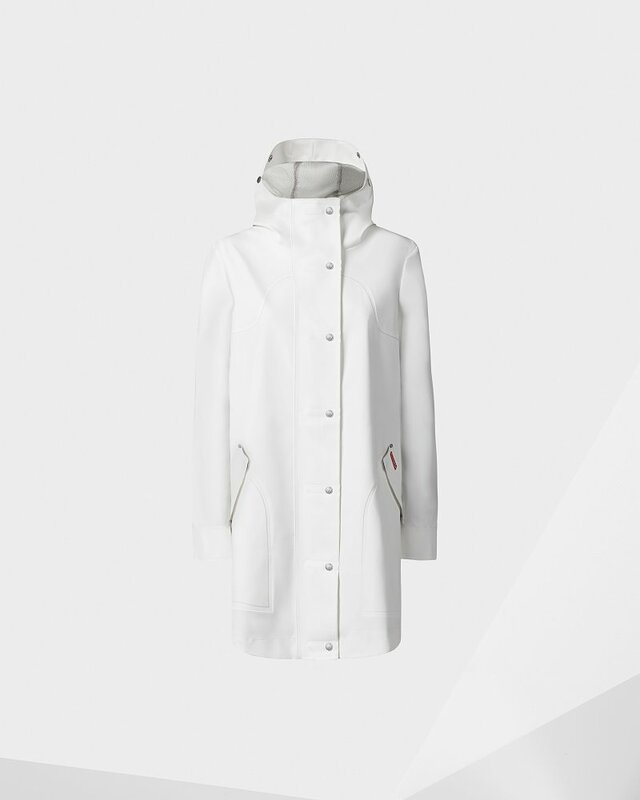 The versatile Rubberised Hunting Coat in clean-cut white offers year round protection with a smart design that works with your lifestyle. Highly waterproof, this women's raincoat features a welded seam construction and is crafted from knitted polyester with a soft rubber-touch coating. The mesh body lining and open back vent ensures breathability on warmer days, while the adjustable hood and cuffs help to keep the elements at bay.